Is That Vacation Contest Real? Have you noticed those photos being shared on social media sites that promote contests for free Disney cruises and vacations? The caption reads that in order to be eligible for the contest, you must “like”, “share”, and “comment” on the photo as well as “like” the page associated with the photo. With every share, the photo ends up in Facebook’s Newsfeed and it begins to grow in popularity as more people “like” and “share” to enter the contest. Scammers on social media sites are getting extremely active and crafty with their tactics to gain followers by offering incredible prizes that draw interest. One photo that is currently circulating has gained a lot of recognition and had over 90,000 likes the other day. The more “likes” a photo gets, the more people think that it is indeed a legitimate contest. The Facebook page associated with the photo claimed that 50 families would be selected to win a Disney cruise and would receive $3,000.00 in spending money. These Facebook pages are not associated with Disney in any way and are giving false hope for non-existent vacations. The scammers use Disney branded photos and use wording that appears to be legitimate….so how can you tell if this is a scam? Disney does not set up separate Facebook pages for their contests. You will find all contests are promoted through their official websites and social media sites. Disney does not host “like” and “share” contests…ever. All of their contests are either performed through their website with a contest entry form or button, or if it is a photo contest, they have entry opportunities through their website or official Instagram accounts. Official Disney Facebook pages have a blue check that confirms it is a company sponsored page. Was the page set up recently…within the past week or month? Does the page only have a few pictures in the “Photos” section of Facebook or a few photos on Instagram? Is the Facebook page an official Disney page? 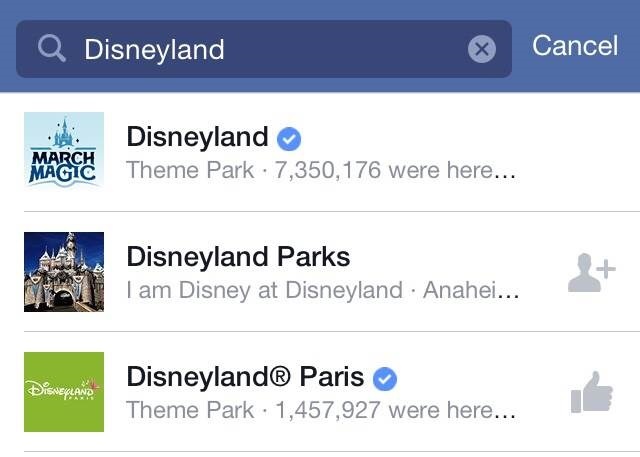 All of the Disney Facebook pages have a blue check next to their name in the search area, as well as next to their name on the Facebook page. This blue check states that they are a certified official Disney page. Look in the “About” section to see the additional info. Most scammers post websites that redirect to survey sites. They are pretty crafty and do use “Disney” in their website names and Facebook pages to appear legitimate. Why do scammers want you to “like” them? Some of these contests ask you to click on a link that redirects you to a site that asks for personal information. Do not share your personal information with anyone. Scammers can use this information to steal your identity which can cause a host of problems. Scammers can use these contests to gain “likes” on a Facebook page, which could then be sold and used at a later time to promote unrelated products and services. Before you “like” and “share” anything on social media sites, please check the source to ensure it is not a scam. If it looks too good to be true…it generally is too good to be true. 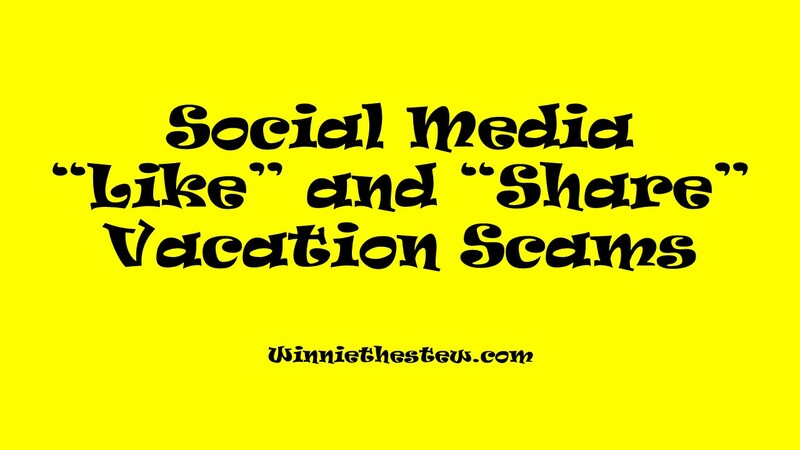 This entry was posted in Uncategorized and tagged Disney Vacation Contest Scams, Facebook Contest Scams, Facebook Disney Vacation Contests, Facebook Like and Share Scams, Free Disney Cruise Scam, Free DIsney Cruise Vacation Scam, Social Media Contest Scams. Bookmark the permalink.